The tragic effects of Superstorm Sandy will be with many people for a long time. I’m fortunate that all of my friends on the east coast are ok, although many remain without power. There are so many difficult issues relating to this storm and the cold supply chain is one that may slip under the radar of most people…but not under the radar of supply chain professionals. Andrea Charles of Pharma-IQ (part of IQPC) recently wrote an article that asked about supply chains being ready for natural disasters. She raises the impact of tsunamis, hurricanes and earthquakes (not to mention blizzards, power outages, or other issues) on the pharmaceutical cold chain. She also speaks to the need to ensure that important medications are available to those affected by a disaster. I won’t debate here about whether climate change is real or not because, whether it is or isn’t, if you’re shipping high value, temperature-sensitive pharmaceutical or food items and your shipment is delayed due to an unpredictable storm or disaster, you’re at risk. Alberts talks about the need for adaptive supply chains. I agree. But what makes a supply chain adaptable is intelligence – knowing the condition of your product on-demand as it travels from the manufacturer to its destination. 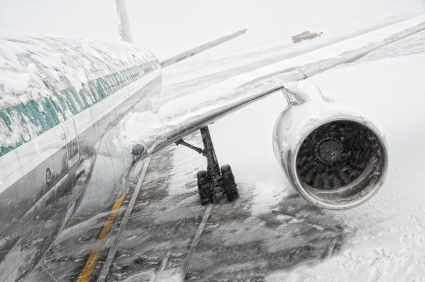 If your product is stuck at an airport due to cancelled or delayed flights or if a ship can’t dock or a truck can’t get through, you need to know if its temperature is still in range so that you can rechill or reroute as necessary. You want to be able to do this autonomously and without searching out and opening individual packages. With so much unpredictability, you can’t account for every conceivable variable but you can build in the ability to proactively manage your supply chain so you can respond in a timely manner when a disaster strikes and help minimize losses. Wireless temperature monitors that provide actionable data on-demand can help. This entry was posted in Food Safety, Perishables, Pharmaceuticals and tagged biopharmaceuticals, Cold Chain, natural disasters, pharmaceuticals, supply chain, temperature monitor, temperature monitoriing. Bookmark the permalink.